As a First Solar Ecosystems Partner, OMCO has supplied racking to First Solar for its Series 4 and Series 6 panels since Day 1. 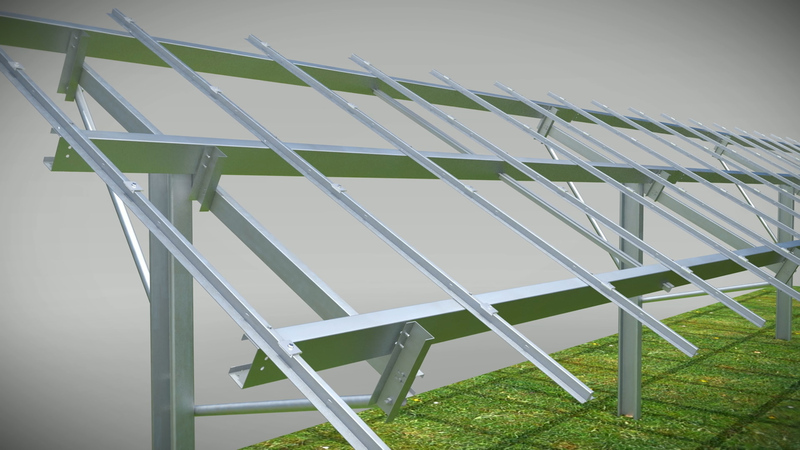 OMCO Solar is pleased to announce that your company is now able to purchase the proven fixed-tilt and tracker mounting structures for First Solar modules, DIRECT from the manufacturer. This complete package arrives to your job site with everything from posts to hardware. The package is a complete structural system with the majority of the assembly already completed at the OMCO manufacturing facilities and ships direct to the location of your choice. These are proven mounting structures that have over several gigawatts of deployment already in use around the world. Only now can you enjoy the cost savings and myriad of benefits that come with buying factory direct from OMCO. When buying direct from OMCO, the manufacturer, you will receive the most competitive pricing on this proven structure. OMCO has manufactured 8 GW of custom solar structures complete with factory assembly and fastener installation while providing constant engineering support and top notch quality. As the customer, you will be receiving the best price and direct service from the manufacturer with the most experience in the industry. OMCO has 4 manufacturing facilities to support projects in all regions of the country as well as optimize export demand from various ports. Our vast footprint reduces your freight costs and expedites deliveries as we ship from the facility that is best suited for your project. When dealing direct with OMCO’s manufacturing plants you are working with the product experts; receiving manufacturing and shipping information direct from the source. The industry and manufacturing professionals you will be dealing with at OMCO are extremely well versed with this structure and will provide you the answers you deserve within the timeframe you require. Should you have a unique jobsite situation, working direct with the manufacturing plants supports faster and more effective design modifications that you might require along the way. Years of evolution through value-engineering for structural integrity, faster installation, and minimal field labor. These structures provide the fastest field installation for First Solar modules. The vast majority of the systems are assembled at the OMCO manufacturing facilities and then shipped direct to your job site. These structures are designed for the lowest field installation labor cost.